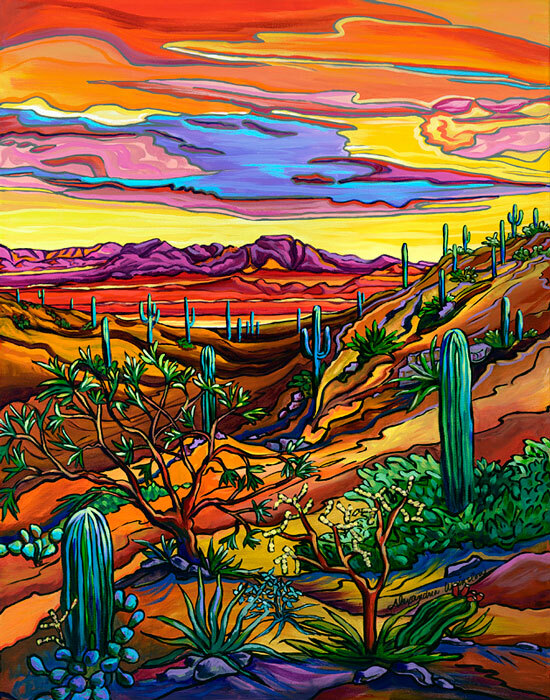 Alexandria Winslow is an Acrylic Painter who lives and works in Marana, Arizona. Currently, Alexandria is exploring the many layers of the western/ southwestern landscape. 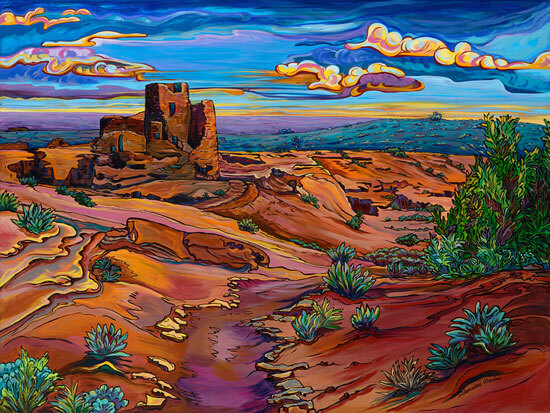 Her paintings focus on the moment you feel the wow factor of the scenery, with an emphasis on using bright color to bring the onlooker into her experience. Alexandria’s paintings have been described by many of her collectors as having a feeling of great movement with a contemporary edge. She chooses to paint very purposefully and confidently in what she calls a high definition style. Emphasizing the natural contrasts in the landscape she plays with the dramatic lights and darks you find in the southwest. Her medium of choice is acrylic and most often on gallery wrap canvas that does not need frames. She continues the painting around the edges to give a feeling of dimension and depth. Alexandria hikes and camps throughout the southwest and recreates the magic moments by bringing the field experience back to her studio through photographs, sketches, and memories. 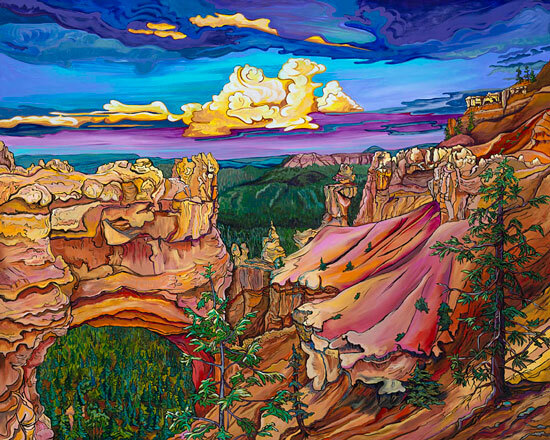 She captures her personal feelings about the incredible nature she has witnessed and then brings it to her easel. Most of her work is completed in the studio, which gives her the freedom and time that she needs to bring more detail and life to each painting. Alexandria loves to create large-scale works and has also become known for her bright and whimsical mural work. 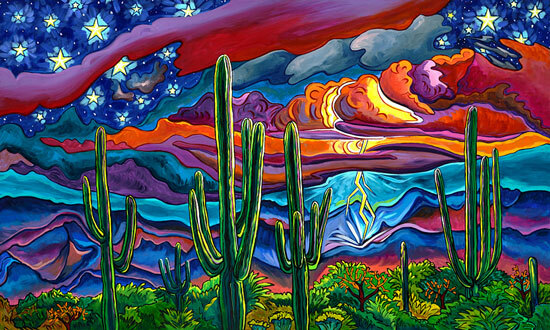 She has had numerous solo shows including “DeGrazia Gallery in the Sun”. 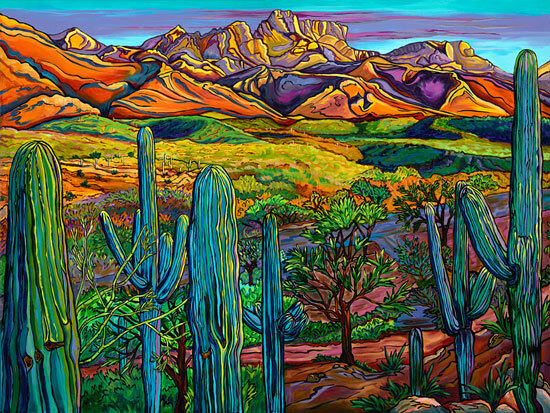 Her work has been collected worldwide and has been chosen for several art festival posters including “Old Tucson Studios" who owns the original "Music in the Desert" on display in their museum collection. Alexandria’s work was featured in the Phoenix Home & Garden Magazine in August 2013 and December 2014. Aesthetics Inc. of California has several pieces of her work in the Children's Hospital of Central California. 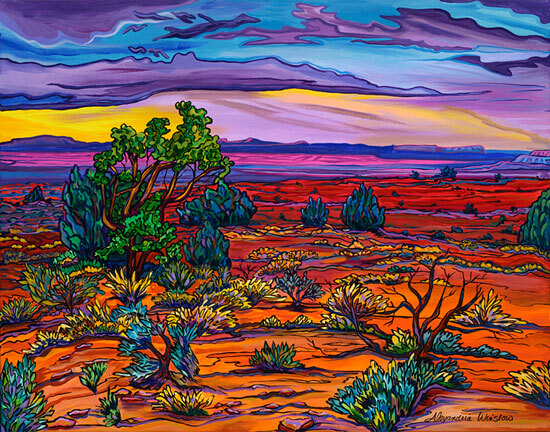 Alexandria Winslow is currently showing at the Desert Artisans’ Gallery, Tucson, Arizona.